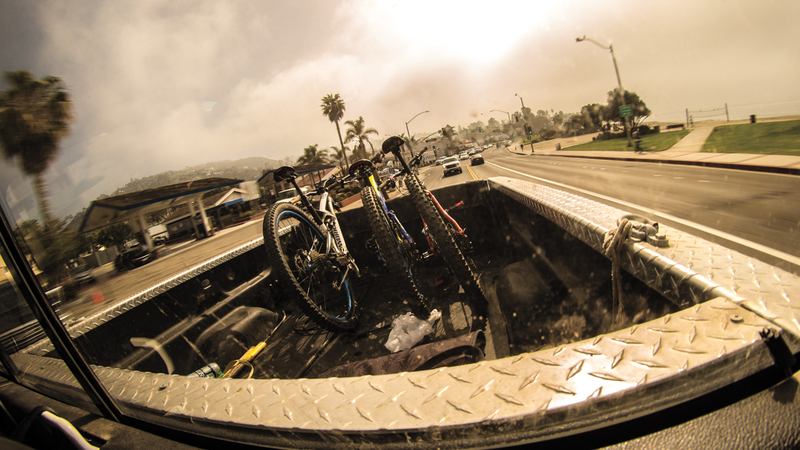 The story of mountain biking in Laguna Beach, California, differs drastically depending on who is telling it. On one hand, there's the Laguna Beach glorified by the legendary RADS mountain bike club, and recognized by riders globally. That story often includes accounts of riding the web of unmarked singletrack expertly etched by the RADS over 30 years into the former ranchland-turned-open space that hulks above town. Or of shuttling DH runs on fall-line descents like Telonics, a trail made famous by the RADS and Laguna Beach transplant Hans Rey and immortalized in countless images (it once served as a namesake for a Kenda DH tire and is the venue for the famous Leaping Lizards race). Then, there's the Laguna Beach that land managers want people to know about, which consists of a small selection of authorized singletrack spread over 15,000 acres of state and county parks surrounding town. The challenge now is convincing tourists–and locals–to choose that story line when they ride Laguna Beach, especially since arguably some of the best trails in the area are technically illegal. Thanks to Strava, what was once an underground scene is now obvious to anyone with a smartphone. As a result, the once-hidden unsanctioned trails are widening as more people ride them, endangering the region's fragile coastal sage scrub. Environmentalists blame mountain bikers, mountain bikers balk and land managers are left to sort it all out. "We don't have a purpose-built trail system, bottom line," said Hallie Jones, executive director of the nonprofit Laguna Canyon Foundation, which works with the land manager OC Parks to facilitate preservation. "We have these primitive trails and right now we're at this crisis point where the trails are being loved to death and by extension the land itself is being loved to death. And how do you keep that from happening without losing that primitive, wilderness feel?" Part of the answer, Jones contends, is to create trails that still feel primitive and fun, but also hold up to use by mountain bikers with varying levels of skill. The Foundation has taken the first step in achieving that by hiring Mike Hall, a longtime RAD and local trail builder as its trails consultant. 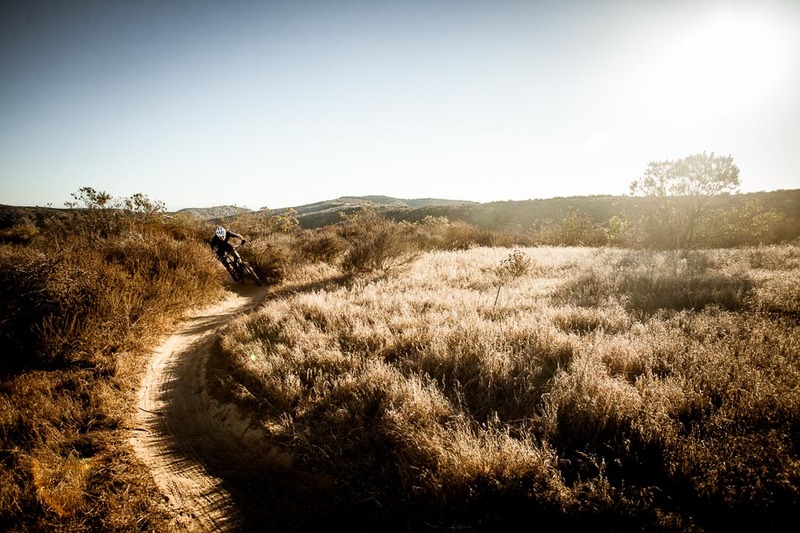 Hall spent the better part of 2015 rehabbing a popular RADs-built trail called Lizard so that OC Parks could legally open it to mountain bikers. 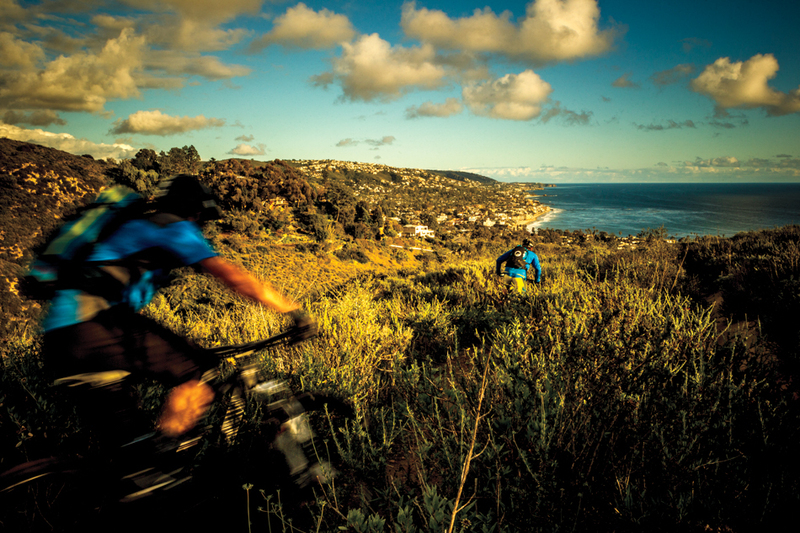 The mile-long singletrack sits near the border of Laguna Coast Wilderness Park and Crystal Cove State Park. It starts out in typical Laguna Beach fashion, loose and rocky, with a couple small drops that flow into a few pedal sections and one hike-a-bike up a steep, ledgy rock face, before transitioning into a perfectly paced, tree-shrouded singletrack that winds around corners with enough speed to require a couple brake checks. Hall has armored the top of Lizard to control the grade and buttress the trail so riders don't skirt the main line and damage nearby habitat. His work should also improve run-off to avoid the ruts that plague most Laguna trails. Similar work is planned for the fall-line Laguna Ridge, better known by locals as T & A, which drops 700 feet in seven-tenths of a mile, starting with a high-consequence rock garden. If you go down there, on a good day, your only post-crash wound care will be plucking painful cholla cactus needles out of your skin. Also on Hall's to-do list is 5 Oaks on the south side of Laguna Canyon, which will require rock armoring, grade reversals and a possible reroute to mellow several unsustainable grades. While some may call this 'dumbing down' the trails, it's all about balancing sustainability to maintain access. Even without riding illegal trails, you can still piece together a rad all-day, leg-searing ride or a short post-work loop, with views of the ocean almost the whole way. If you're starting in downtown, there's only one way to go: straight up. The former hippie colony turned upscale, beachside arts community is nestled at the end of a canyon between two large swaths of open space on the hills above town. 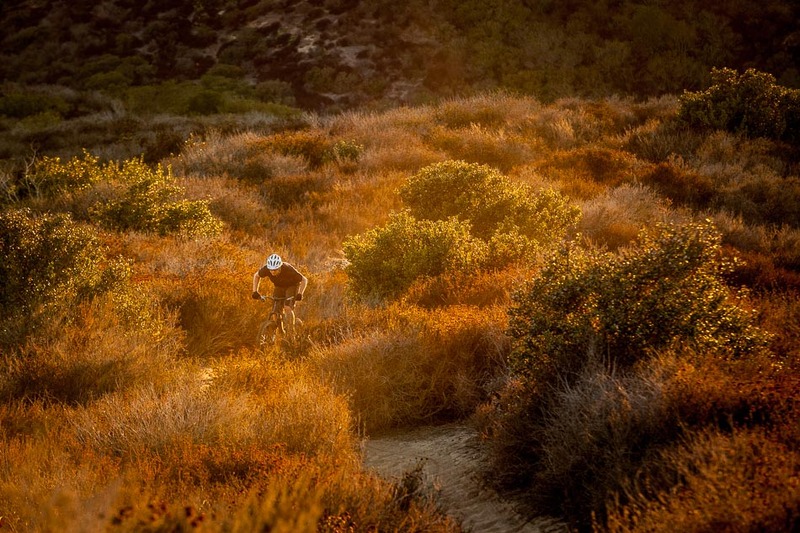 On the north side sits Laguna Coast Wilderness Park, a 7,000-acre open space with 42 acres of legal trails and fire roads, only about 5 of which are singletrack, and the adjoining 2,400-acre Crystal Cove State Park, which has several more miles of singletrack. Between the two, you can rack up a few thousand feet of climbing in several hours by linking the short but raucous Old Emerald, BVD, Rattlesnake and T & A descents with various ridgeline fire roads. The trails are marked by typical SoCal characteristics–exposed, dry, loose and rocky; tree-cover is rarely part of the experience. On the south side of the canyon, the trails of Aliso and Wood Canyons Wilderness Park are better known to mountain bikers, although, again, the majority are fire roads that link slivers of singletrack. Accessing the park from Laguna Beach requires a slog up the brutal Canyon Acres doubletrack, which gains 1,000 quad-burning feet in 1.5 miles, or the more humane option–hop on the city bus and shuttle to Top of the World for less than a buck. You can also climb city streets to Top of the World if you want to stare at pavement for 30 minutes while your heart rate redlines. From there, choose one of several classic descents. There's Car Wreck–named aptly for the rusted 1947 Volvo on its side in the ravine at the bottom of the trail's upper rock garden–the steepest and most-technical (legal) line in the park, which starts out innocently then culminates in a steep, chunky mess of rocks with no visible line. Continue farther on the ridgeline to reach the less technical, ripping-fast trails of Rockit and Lynx. At the bottom, traverse the length of the park on tame singletrack, while mentally preparing for the short punishing Cholla climb back up to the ridgeline. Cholla tests legs and lungs by rising 260 feet in just a third of a mile. Back up top, find Stair Steps, a trail whose name pretty much says it all, and plummet nearly 400 feet in less than a half-mile back onto Laguna Canyon Road for an easy cruise into town. Though lacking in miles of singletrack, Laguna Beach's existing trail system is diverse in difficulty level, accessible directly from town and is located in one of the most beautiful landscapes in the world. But Hall and Jones know that to keep mountain bikers from building and riding illegal trails for good, new options will eventually need to be considered. For now, they're working on a holistic plan for all the legal trails that they will use to recommend future rehab projects to OC Parks. "We've got to start with what we've got," Hall says. "If we can show them that we're responsible enough to stick with what we have and not throw it in their face that we're going to do whatever we want," trust will slowly start to build, which could potentially lead to new construction in the future. Despite the current state of transition, one thing about riding Laguna Beach will never change–it's the only place in the world where you can be swimming in the warm waters of the Pacific Ocean before your disc brakes have cooled from the final screaming descent off the ridgeline. STAY | Camping: Crystal Cove State Park. Primitive spaces in the park require a 3-mile ride in. Drop your gear at the site, then spend the day shredding singletrack. Or nab a spot in the popular beachside campground, directly across Pacific Coast Highway from the water. Hotels in town can be spendy, but there are dozens of short-term rentals on Airbnb. EAT | For the best breakfast or post-ride burritos, go to La Sirena Grill. If it's quick, head to the downtown location. After a ride, hit up the South Laguna location for the widest craft brew selection in town. Stop by Café Zinc for coffee, pastries and awesome vegetarian food. GO | Town public bus (no service Sunday): Blue Route goes to Arch Beach Heights. The Gray Route services Top of the World. $.75 each way. Info at Lagunabeachcity.net. Gear, trail info and rentals are available at Laguna Cyclery. The inside scoop on where to eat, sleep and ride in the U.P.